They have both been busy this year attending charity events and raising money for both people and pets in need. Their last effort was raising enough money to give 21,000 pounds of turkey to homeless New Yorkers for Thanksgiving. Although Joshua has played a big part in creating awareness for some great causes, he says "in all honesty, I can't take any credit for what we do, he's my drive, he's the heart, and he's the hero." Polo plans to end the year strong with a Holiday Toy Drive for Children in hospitals and orphanages in New York City. Plans for 2015 are also big. 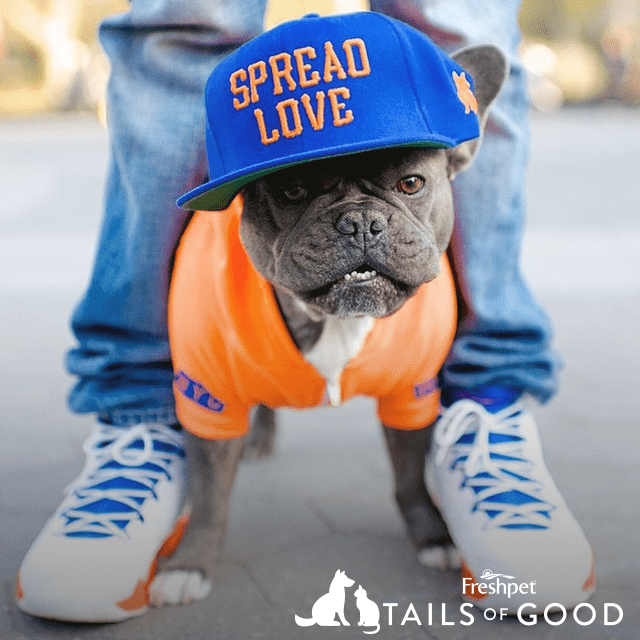 They plan to visit hospitals more frequently and start their own official non-profit organization to continue to spread love to New York City by raising money for both people and pets in need. To donate, visit to Polo's Holiday Toy Drive visit GoFundMe.com/PoloSpreadsLove.